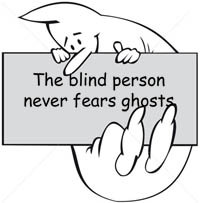 There is an old Burmese saying which goes “the blind person never fears ghosts”. I suspect there are millions of ‘blind’ people out there reading blogs and following tweeps in blissful ignorance of the fact that they are victims of a subtle yet deliberate deception, and the person they believe they are listening to is not who they imagine. I wrote a piece on ghost blogging last month and was delighted today to have the opportunity to listen to a fascinating debate on the subject by two real heavyweights. Marketing Magazine dubbed Mitch Joel the Rock Star of Digital Marketing. His Six Pixels of Separation is a well respected blog and 19k followers on Twitter is not too shabby. Mitch is in the blue corner, arguing, like me against ghost blogging. In the red corner stands Mark Schaefer, marketing consultant extraordinaire, with an equally not too shabby 14k followers on Twitter. Listening to the debate you get the feeling that Mark would love to agree with Mitch, and indeed on several occasions he clearly does agree on a fundamental and emotional level. 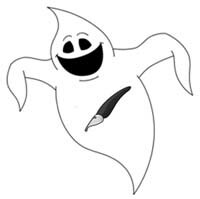 The bottom line for me was that he could not allow himself to agree on a practical level because he has a vested interest in promoting ghost writing to his own clients. If you are interested in the morality and practicality of ghost blogging, try and find 40 minutes to listen to these boys – it is worth every second.